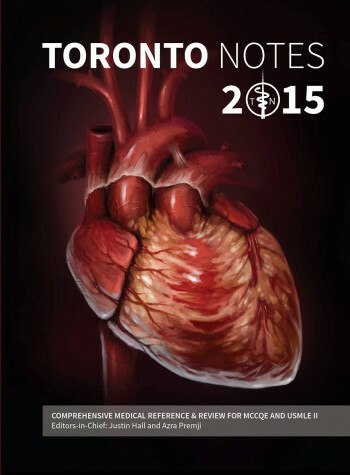 Without question the most anticipated annual release of any publication we carry, the Toronto Notes for 2015 arrived yesterday at the Health Sciences Bookstore. (And we seem to be among the first recipients – Toronto Notes’ own website is still showing the 2014 edition and listing the 2015 edition as a ‘pre-order.’) This primary print resource in preparation for MCCQE I and USMLE II objectives covers 30 medical specialties in over 1300 pages, with up-to-date DSM-5 diagnostic criteria being used throughout text. 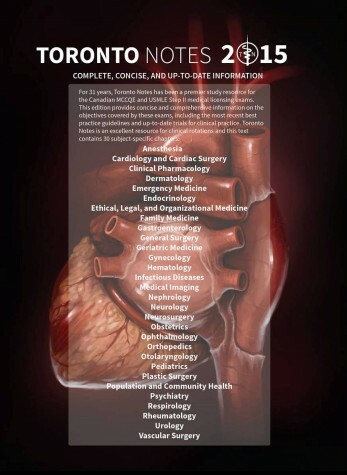 In addition, this 31st edition includes a new dedicated Vascular Surgery chapter, Evidence Based Medicine sections and high-impact clinical trial summaries, and redesigned book layout featuring new in-text icons and illustrations throughout the text. 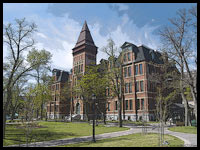 – Updated and revised user-friendly edition! This year’s edition will be selling for $172.63, and is available in store, or can be ordered online for delivery to your door through this link. and the standalone Clinical Handbook at a roughly $5 discount for $21.75 (online link here).